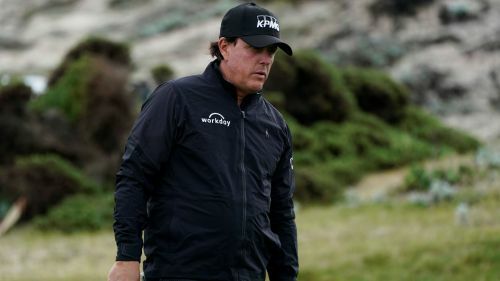 Phil Mickelson and Jordan Spieth were among five players tied for the lead when the second round of the AT&T Pebble Beach Pro-Am was suspended due to inclement weather. A beautiful shot. @PhilMickelson has 12 birdies in 30 holes.